The more time I spend in my photography pursuits, the more I appreciate cameras that capture and photos that exploit their maximum dynamic range potential. Digital cameras have undergone dramatic improvements over the last 12+ years, but they still don’t come close to the human eye’s dynamic range capabilities. By some estimates, the human eye can distinguish up to 24 f-stops of dynamic range. Higher end DSLRs such as the Nikon D800 by comparison, can capture up to a theoretical max of 14.4 f-stops of dynamic range. The usable dynamic range of most DSLRs, however, is closer to 5-9 f-stops, considering the impact of noise, which can render some of the DSLRs’ f-stop range impractical to exploit. Thus your eyes – at least for now – are still far more capable than the best DSLR relative to recognizing various tonal gradations. 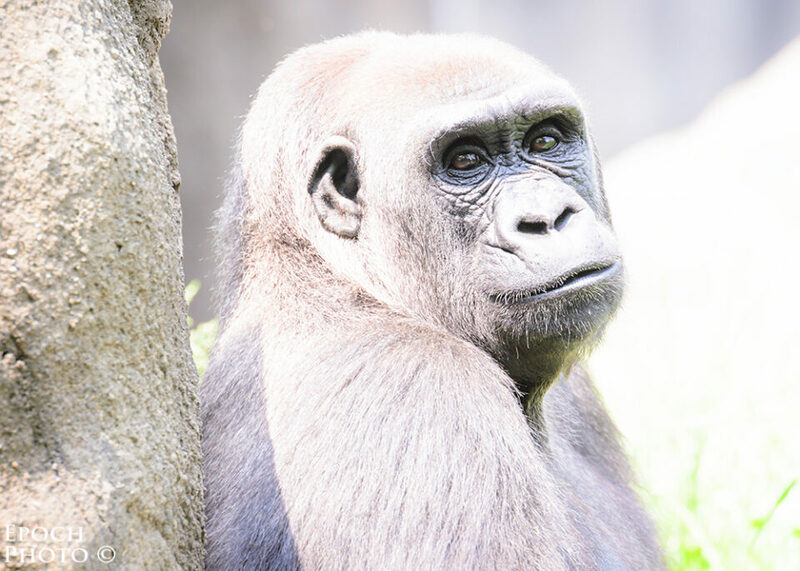 As I will demonstrate via my new model, “Doris” (shown below) of the Pittsburgh Zoo, even photos taken with high quality DSLRs sometimes need a bit of extra processing to match what your eyes can see. The photo below is the result of a processing technique I often employ to boost dynamic range when it is apparent that my camera’s sensor failed to capture what I remember seeing. The first step in maximizing dynamic range is to have a camera that scores high in this category. DXO Mark can provide a good understanding of how DSLRs stack up against each other in this regard. The results from the D800 dynamic range testing have been amazing, clearly showing that it has the capacity to pull significant shadow detail while still keeping noise levels relatively low. If and when I actually get my hands on a D800, I will be able to determine this for myself! For this tutorial, I used my trusty Nikon D7000, which despite its modest price, has a very good dynamic range score. But even with a D800 or other DSLR that excels in the dynamic range category, your photos are still likely going to need some additional processing to maximize their potential. For extreme lighting conditions, the only way to capture the full spectrum of exposures is with exposure bracketing and combining multiple images as done with high dynamic range software. In less dramatic lighting conditions, however, you may simply need to modify your exposure values using copies of a single image and combine them to create the optimal exposure for each part of your image. This need not be very cumbersome or time consuming, since with a bit of experimentation, you can quickly spot opportunities to enhance your photos’ dynamic range and make the necessary post processing modifications using Lightroom, Photoshop, and other software. I chose to do most of my processing using Lightroom and Photoshop, my primary tools along with the full plug-in suite from NIK Software. I have no doubt that I could have used a variety of other photography processing software and techniques to achieve similar results. Given the D7000’s tendency to overexpose a bit and the fact that Doris was a mixture of dark gray and black, I thought it wise to dial-in an exposure compensation of -.3. Even though I could see Doris’ beautiful brown eyes very clearly through my Nikon 70-200mm VR II and Nikon 1.4X teleconverter, I knew the camera’ sensor was not going to be able to accurately render the diverse tonal range, and that upon returning home, I was going to have some work to do in order to represent the dynamic range that my eyes saw. The picture below is the RAW file as it was brought into Lightroom 4.0 without any adjustments. As you can see, the D7000 did a respectable job, particularly with Doris’ silky fur coat, but her eyes are barely visible. And as with most RAW files, the image was pretty bland and boring. Based on my D7000’s characteristics and my understanding of the elements of a “good” photo, I created a number of Lightroom presets I apply to my photos that address exposure, contrast, shadows, color, contrast, highlights, sharpening, lens adjustments, etc. I almost always use a single preset that gets me 85-90% of what I expect a photo to be. The rest of my adjustments are made in Photoshop. After I applied a preset which I ingeniously named, “D7000 Preset”, which also included the use of Auto Tone, Lightroom 4 produced the image below. This preset improved the dark shadows associated with Doris’s pretty brown eyes and other body parts, but made her coat a bit too light. Admittedly, this is tricky image to get right with the Auto Tone adjustment feature. Lightroom 4’s “Shadows” control is a huge improvement over Lightroom 3’s “Fill Light” capability, as it has the ability to boost the exposure of the shadow regions without negatively impacting the rest of the photo. Fill Light often had the tendency to quickly “wash out” a photo and make it look as if a thin coat of gray paint had been dumped on it. Lightroom 4’s Shadows eliminates the unwanted color cast by only impacting those areas that are truly shadow areas, and represents a huge leap forward. Lightroom 4’s Auto Tone feature has also improved quite a bit over that of Lightroom 3. Lightroom 3’s Auto Tone button would almost always overexpose my photos, to the point where I stopped using it altogether. In contrast, Lightroom 4’s Auto Tone does a much better job, producing much more realistic mid-tones and blacks. But as good as both the Auto Tone and Shadows features are in Lightroom 4, you can see that Doris still needed some work. Her beautiful eyes simply weren’t showing their sparkle as of yet! The next experiment I performed was to boost the Exposure setting of a copy of this photo in Lightroom to see how much I could improve the shadow regions of Doris’ eyes beyond what the Shadow feature would allow. As you can see, my D7000 captured quite a bit more details and dynamic range than either the RAW or adjusted Lightroom 4 file suggested. And since I shot at ISO 100, I had a bit more latitude of “usable” dynamic range to play with, since RAW files shot at lower ISOs are not affected as much by noise as photos shot at higher ISOs. Had I taken this photo of Doris at 3200 ISO, I doubt that could have made the corresponding adjustments shown here without significantly boosting the noise levels of the shadows, and thus reducing the overall quality of the photo. So while the rest of the photos looked terribly overexposed, Doris’ eyes were clearly brighter and showing much more detail, color, and contrast than the other versions. 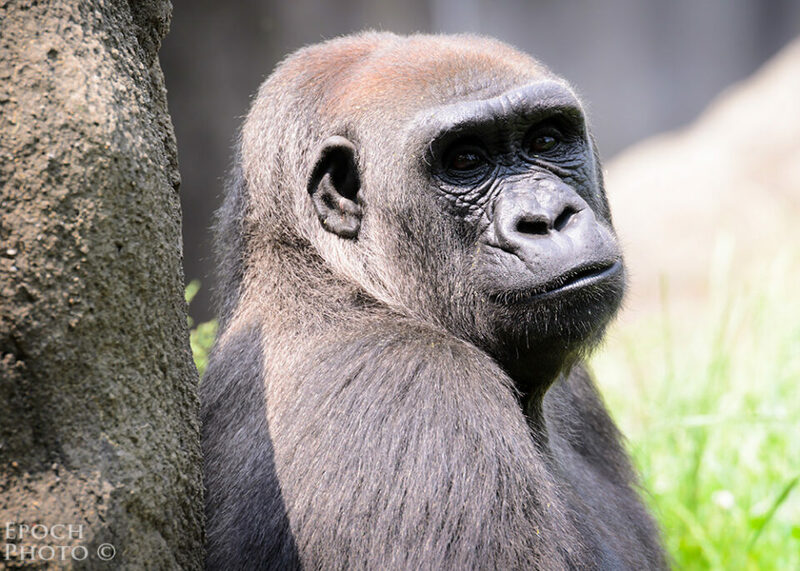 Now you can begin to sense why the male gorillas of the Pittsburg Zoo melt under her gaze! As I mentioned, there are probably a variety of ways I could have achieved a similar result, but since I am very comfortable and familiar with Photoshop (I used version 6), I decided to bring in the original Lightroom photo into Photoshop, and then add the overexposed copy as a layer. Using layers, masks, and brush tool, I then combined the best of both photos, the results of which are much closer to what my eyes saw through the viewfinder. Not bad, but I thought Doris had a bit more potential. Maximizing the dynamic range in your photos starts with a DSLR that scores well in this category. And armed with some post-processing knowledge and experimentation, you can go a long way toward exploiting your photographs’ potential. What I did with Doris is a bit similar to “Tone Mapping” whereby one image taken at one exposure is then modified to optimize the exposure of each part of the image. This works ok with images that have been taken at a low ISO value, so that exposure adjustments don’t introduce too much noise. HDR processing takes 2-9 images, each of which was taken at a different exposure value, and combines them. I use NIK Software’s HDR Efex for this purpose. HDR allows for much greater latitude relative to combining the different exposure values. You have probably seen some of the more dramatic HDR images. IMHO, the best HDR shots are ones that enable you to combine the best exposures of each part of the image, much akin to what I tried to do with Doris. Had I not been concerned about Doris moving, and had a tripod handy, tripod, I might have taken 3 bracketed shots. That is a great article! Thanks Bob. I tried to do something similar in Aperture for comparison, and then I realized it is rather pointless without the original RAW file :). I personally think there is too much sharpening and vibrance added in the last step, but as you said – these are totally subjective preferences. Thanks for commenting. You can certainly try the same technique on any photo taken on a bright sunny day when the sun is at or near its peak. Such conditions are notorious for causing bright highlights and dark shadows. Yes – I tend to like photos a bit “punchier” and crisp, but I realize that someone else might have handled this photo a bit differently. Fantastic advice there Bob, thanks very much. I have one question though – I do not use Photoshop at all, just Lightroom. Is there any way to not use PS and achieve the same thing in LR? Appreciate if you can let us know. Cheers! Ajay- you can use the dodge brush to achieve similar results. Thanks Oded, I will try that next time it is required. Indeed, Oded is correct. I have used brush tool within Lightroom. Since I have and enjoy using Photoshop, I never use this capability in Lighroom, and instead rely on the tools in Photoshop. Bob, this is an outstanding article. Perhaps in another article you can describe how one does the steps described in Step 6. Thanks! I send that! The Photoshop work is the part I don’t know how to do yet. The Photoshop adjustments were pretty simple. You simply drag the overexposed image onto the Lightroom adjusted photo withing Photoshop, and then create a black layer mask that hides the overexposed image of Doris. You then paint over this layer with a soft-edged brush to reveal only Doris’ bright eyes. You can then adjust the opacity of the layer to your taste. The rest is just adding a vignette layer (action stored in Photoshop) and allowing the center part of Doris’ pretty face to show through (similar to the previous step). The rest is noise reduction sharpening, and a bit of contrast and color adjustments. I recommend finding a good tutorial on youtube, adobe.com, or other site. The net is full of great free Photoshop tutorials. You can also sign on to a service such as Kelby Training, which offers some high quality videos for a fee. I second that! The Photoshop work is the part I don’t know how to do yet. Very nice article and very nice result. Thanks. I would recommend giving Nikon Capture NX2 a try instead of LightRoom or Photoshop unless you are already familiar with those applications. Capture NX2 has a very good if not the best raw (NEF) converter and the learning curve is a lot flatter than the step learning curve of LR and PS in my opinion. Thanks so much. I am not as familiar with NX2, but seen some stunning results from it. Thanks for taking the time to visit and comment, Rohan. I have a question, can I save time and fix the darker areas (the underexposed areas) with the D-lighting tool that for example Capture NX2 offers??? I never used Capture NX, so am not much help in this regard. I do know that some swear by it as being their tool of choice. I am sure you can find some tutorials on the net that can demonstrate ways to apply selective edits to different parts of the photos. Nice article Bob. One change in Lightroom 4 is the ability to open and edit 32bit photoshop files. This means you can use the edit in function in LR4 to merge to HDR Pro in photoshop, and then return the resulting 32bit file to Lightroom (without tone editing in photoshop), and use Lightroom’s excellent tone controls to finish the image. Thank you. I have used the HDR Efex capability in Lightroom to merge the photos into a TIFF file and then further modify it in Photoshop. There are many ways to accomplish what I have shown above. This is a great way to improve the dynamic range capabilities of the camera without the use of bracketed exposures. Thanks for sharing your technique’s with us. Glad you found the article helpful, Mark. The D7000 is a great camera for the money. I have no doubt you will notice a substantial difference in photo quality, particularly at the higher ISOs. For their stated purpose and function, the 18-200mm VR I and VRII are solid lenses, despite being maligned by some on various forums. They may not be the best for action shots however. While indoor settings seem to be fine relative to the perception of our eyes, they are notoriously low light environments. As such, you may find that your 18-200mm is shooting at pretty high ISOs as you boost the shutter speed upward of 1/250-1/1000 to capture action shots. You will likely need a 70-200mm 2.8 lens with vibration reduction in order to take pictures at reasonably low ISO and high shutter speed combinations. There are quite a few others available if you will do a little digging. Loved the article and your point of view. Thanks for this! You are quite welcome. Thanks for taking time to comment. I loved the article but have the opposite problem than most of your readers… I only have photoshop. Any tips for the opening steps just using photoshop??? Thank you. Lightroom is essentially a souped-up version of ACR. You can follow the exact process I used in ACR, by opening up the base image in ACR, making your adjustments and then pulling it into Photoshop. Open up another copy in ACR, and boost the exposure as I suggested, open that file, and then simply drag the over-exposed image onto the first file as a layer. Put a black layer mask on it and then brush away the area around the eyes, making some adjustments as called for. Hope that helps. Good article, thank you for sharing. I’m going to develop some basic presets for the D800 to try and speed up my workflow. Thanks, Mike. I have noticed that presets for one camera look different when applied to photos taken with other models. I am sure you can quickly find some that bring out the best of your D800. Bob, I agree. I had some D90 presets that don’t look quite right on my D800 files. This was a fantastic read and has illustrated to myself just how lazy I am with my photography. Many thanks for sharing this – the before and after comparisons are terrific! Thanks for the great article, Mike. I was just wondering about the possibility of you sharing these D7000 Lightroom presets with us? It`s understandable if you see them as a personal part of what you do, i also belive that there are alot of people out there (me included) trying to increase their post prossesing abilities, it`s a bit overwhelming starting fron scratch making these presents by your self when you dont have the expert photographic eye like you defently have. I`m at my starting point as a hobby photographer, and got my D7000 about a month ago, and its just so beautiful seeing the work of the pros like yourself, and lerning the tecknics and evolving as a photographer. Great fan of your work by the way! I agree with you man!!! So the “Fill light” function of “Lightroom 3” doesn’t exist anymore, and it was replaced by “Shadows” ? I have another question that has nothing to do with your article. I bought a Zeiss polarizer (my first polarizer ever), and I did my photos trying to be at 90 degrees with the sun. I got some nice photos, but in many of them some annoying dark lines appeared through the sky. Those lines have different patterns, sometimes they are horizontal, and sometimes they are curved, and I neved had them with my Uv filters, I only got them with the polarizer. When I add or take out light in post processing, the lines are going to be more or less obvious. I think perhaps my polarizer was not perfectly clean (my uv filters are never perfectly clean), or perhaps this problem is inherent to the use of polarizer filters, I don’t know. Could you give me a clue ? Greetings, Jorge. 1. Can this be done using PS 5.5 only and without Lightroom? I don’t own the latter and hence the question. 2. I want to really master Layers and all the bag of tricks that it brings to the fore. Any suggestion for the best book? or best site? Thank you. Yes, you can indeed do what I have done with Doris with any version of Photoshop that has layers. You simply need to make a few layers (copies) of the image that have different exposures and then selectively expose each area of the image with the proper exposure. There are many great tutorials on how to use Photoshop. The best is Kelby Training, which offers an annual subscription, lots of discounts and other benefits, and usually throws in a few free books that are worth the price of the membership itself. Lynda.com is another good source. Beyond the paid sites, you can search the net and find thousands of videos from various sites from Adobe and independent sources on a myriad of topics. Right you are! Thanks for pointing this out. On an entirely different topic, and apologies in advance for posting it here. While trying to do HD video on my D7000, I have a perpetual problem that the camera cannot focus along the subject when it moves. I have to keep the shutter half pressed all the time to get any semblance of focus. I guess I am doing something wrong. What is the best way to take sharp HD videos with the D7000? I suspect if you do a bit of searching on the exact question, you can find some reputable advice on this one. I did a few searches and found a few links. If you dig into a few of them, I suspect you can quickly find the solution to this one. Hello I am so glad I found this site where I read and learn more. I am not a professional photographer but photography is a big hobby of mine. I have Nikon D7000 and I have 50mm 1.4f lens and I just my sold 18-200mm lens and I want to buy a new one but I don’t know which is better for me between 24-70mm, 28-120mm or 70-200mm I know that all are good lenses. Bob can you please give me some advice, which lens is better for me in case I have two children and they are my model every season and occasion , I like too go anywhere to take nice pic. :) Thank you. Just curious as to why you sold the 18 – 200mm lens? I was planning to buy one. Am interested about your rationale to sell the same. Nasim has a good explanation. I’m not Bob, but I will tell you my ideas. I have a small daughter that is my favourite model. When I want to do portraits of her I choose my 50mm f/1.4 (because of the nice bokeh) or my 70-200 f/2.8. This last lens also have a very nice bokeh, specially when you use it at their longers focus distances. I like the 70-200mm also because you can do photos “paparazzi” style, without disturbing your subjects. However, when I go to a Birthday party and I want to photograph children groups I need something wider, then I take my 24-70m. With this last lens you can do nice portraits too, specially when it is wide open and the background is far away. Of course, the 50mm and the 70-200mm are better portrait lenses, but the 24-70 mm is not a bad one. In the last birthday where I was with my daughter I did photos with my 24-70mm, and then with my 70-200mm, and I was satisfied with both lenses. I have also the 28-300mm zoom. With this lens I did a lot of wonderful kindergarten parties pics. The 28-300mm is not in the same league of the other zooms, but produce very nice photos, and definetely is the most practical zoom to photograph family events. You can join it with your 50mm and you would have a nice teem. Best wishes, Jorge. I sold it because I do more good pictures with 50mm. the 18-200 it was too simple and easy , or I do not know how to use it and is why I want something better to do better effects. I know the 18-200 has a good zoom but I want something better. What do you intend to imply when you say it is ‘too easy’? Does it mean it is less versatile and that not much of variations can be experimented with the same? Or does it mean that it is so versatile that it does everything for you and that you do not have to do much? How about the 18 – 300 mm that recently came out? Thank you so much for your opinion. I have a girl she is 4 years and a baby boy 7 months and they are my models I always take pictures everywhere on the birthday party in the parks that’s why I want a good lens which I can use it everywhere. I know that 24 – 70mm and 70-200mm are good and I want them both but because they cost too expensive and 70-200mm is too heavy too take everywhere so I do not know if I will be ok only with 24-70mm or it’s better only 70-200mm because it have various options and more zoom. The profi zooms are more expensive due their big aperture (f/2.8) that allowed them to perform better with low light, due their speed to achieve autofocus, minor distortion and also wheather sealing. The image quality of the profi zooms is also superior, but not necessarily by a big margin. I love my new 70-200 zoom, but I must say that sometimes, when I see some of the old photos that I did with my 28-300 mm, I’m surprised by their quality. The 28-300 costs half de price of the 24-70mm and produces very fine pics, whose quality is more than enough for the kind of photos you are doing, and it is super practical. However I must clarified that I use this FX lens with a D700 (large censor). For you the 28-300 has no sense because you have a DX camera (D7000). Because of the “crop factor”, on your camera the 28-300mm FX is going to be a 42-450mm, so you are going to miss the wide angle part of the lens. Having the D7000 your best option in the category “familiar multi-use zoom” is to stay with your 18-200mm VR. My mail is [email protected]. If you want I can send you portraits that I did with the 28-300 mounted on my D700, and also portraits that I did with the 70-200mm, mounted on the same camera. Greetings, Jorge. I mean for a device as the D60 the lens 18-200mm is very good lens but for D7000 it is less professional and it’s low light lens you need to play whit ISO or F number too get good pictures. yes it’s versatile and it does everything for me and I do not have to do much, but I’m not satisfied with the results, always have to pass through the fotoshop to add light or sharpness . about 18-300mm I don’t have it and I don’t know yet. Thanks Alena. 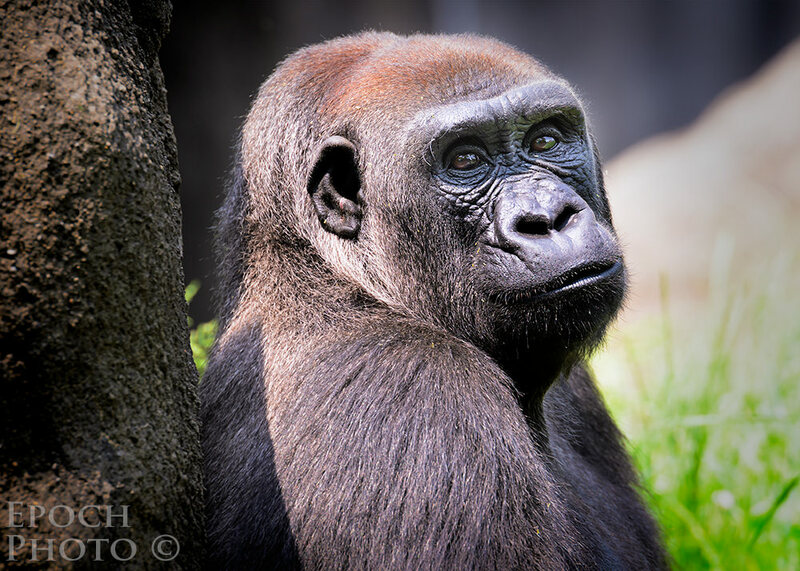 How does the 28 – 300 mm compare with the 18 – 200mm for a D7000? It has no sense to use the 28-300mm on a DX camera like the D7000. Due to the “crop factor”, the 28-300mm (FX lens), mounted on a D7000, is going to work like a 42-450mm zoom, so you are going to miss the wide angle focal distances. You must pass by photoshop always : ) even with the very best lenses. Alena, I had good news for you. The 18-300mm DX just hit the markets some weeks ago. So you could buy this lens. It’s price is 1000 dollars. You could use always your 50mm f/1.4 for your low light photos, artistic portraits an even some landscapes (I did it), but when you need something that can go wider and longer, the 18-300mm DX would be a quite good solution. The FX 28-300mm is very sharp, and when you shoot portraits at the 300mm range you can disappear the background. The VR works perfect in my FX version, and really helps when you do low light photos of stationary subjects. The 50mm is not a complicated lens to take it with you. One thing is to swap your 50mm with your 28-300 DX, and another is to carry and continually change a 24-70mm F/2.8 FX and a 70-200mm f/2.8 FX. In the last situation you really risk a bad accident, specially when children are running beside you. Another thing. I’m an early amateur as you, so don’t expect my photos to be that good. I’m sharing my experience with you because I have the 28-300mm FX zoom, and also the 24-70mm and the 70-200mm zoom, so I can compare them. Greetings, Jorge. I saw your photos and now without a doubt I can say that you do better photos than me. A zoom like the one you just ordered is a “convenience” tool. It is a very practical lens that you can take with you on holidays or when you want to do photos of a kindergarten party. You will have good quality pics. The VR II is going to allow you to do sharp photos of stationary subjects in low light. But to do those photos with creamy bokeh and and a magic touch, there is nothing better than a big aperture prime. Until now I did my most beloved children photos with my 50mm f/1.4 AF-D (I think the 50mm are the best children lenses) Unfortunately I didn’t use my 50mm very much, because I have other more expensive glass that I want to give a try, and I have not very much time to take photos (but I have time to read blogs). The 70-200 f/2.8 is indeed a fantastic zoom that produces great bokeh. I’m not a rich man, and still now I’m saving money to fill the hole that the 70-200mm opened in my wallet, but I don’t regret my aquisition a single minute. However, the big 70-200 is not the lens that you want to have when you are running behind your children at the park. In those circumstances a 50mm is a better choice. One fantastic an expensive prime that in terms of bokeh is superior than the 50mm is the 85mm f/1.4 G. I have it. The 85mm is an specialized head and shoulders portrait’s lens, but the 50mm is a more practical prime. So, don’t be frustrated when your new zoom doesn’t produce portraits comparable to the ones you do with your 50mm, opened at f/2, because when you need to go wider to do a groupal photo, with your zoom opened at f/8 (to have everybody in focus), your new zoom is going to serve you well. 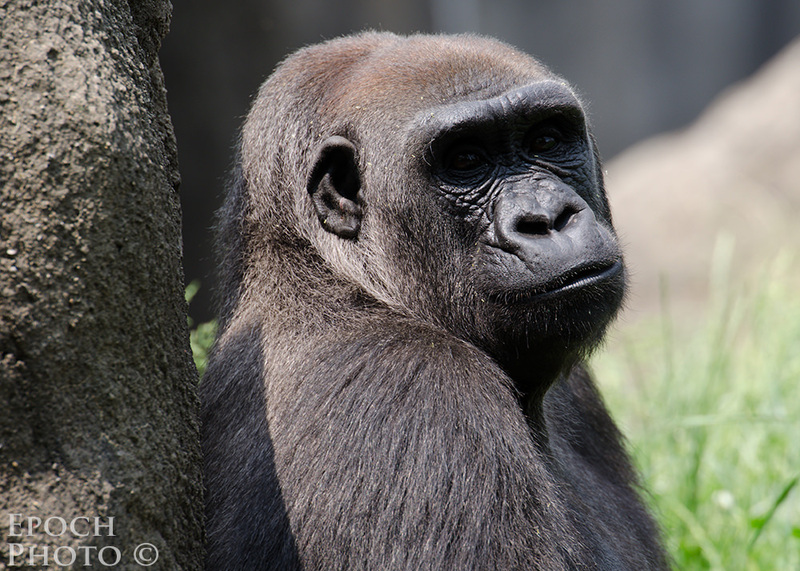 Also when you photograph landscapes, or you need the 300mm focal lenght to do photos in the zoo. Greetings, Jorge. Can someone please tell the difference between DX and FX body. I will give you a very simple explanation, because it is the only one that I know. A “DX” camera is one that is equiped with a “DX” sensor. A “DX” digital sensor does the work that a negative (traditional film) does in an analogic camera, but the frame of a “DX” sensor is smaller than the frame of a 35mm traditional film. By its side the “FX” body carries an “FX” digital sensor. The frame of the “FX” sensor is the same as the one of the 35mm traditional film, and of course, bigger than the one of the”DX” sensor. What is meaning that size diference between the “DX” sensor and the “FX” sensor ? Well, because the “FX” sensor is big, it can be filled with big megapixels (the bigger the megapixel is, the more light it captures) to obtain a better quality picture, with low “noise”. By it’s side the “DX” sensor is filled with small pixels (smaller than the “FX” pixels). For brands like Canon, and lately Nikon, the number of pixels is a serious marketing consideration, because people that doesn’t know too much about photography use to be impressed with the number of megapixels, and they prefer to buy small sensor cameras that are stuffed with a lot of small megapixels, even when those cameras are not going to produce good image quality, specially in low light situations. So, in very short words: An “FX” sensor is a big one (captures more light) , and a “DX” is a small one (captures less light). Greetings, Jorge. Hello George thank you infinitely for your explanation was very clear to understand the difference from “DX” to “FX” body. Anyway thanks that you told me I do better photo than you but as you know so much and have good quality equipment and you must always be better. Now I think to cancel the 18-300mm and buy the 70-200mm but how if my camera is “DX” body and lens is “FX” what to do, to buy it or I need to change my camera too ? The FX lenses work perfectly mounted on DX bodies (you can’t say the opposite), but you must consider that the 70-200mm f/2.8 FX, mounted on a D7000 DX body, is going to work as a longer tele; I think like a 105-300mm (perfect for portraits), but I’m not sure. However, if later you decide to invest on a FX body you woud be happy of having an FX marvelous zoom. So, if you buy the 70-200mm FX you don’t need to change your DX camera . Only if you are looking for a wide lens it is not going to make sense to buy an FX zoom to use it on a DX camera. There are a lot of wildlife shooters that use “FX” teles mounted on DX bodies in order to have more reach. Greetings, Jorge. If you want to buy an FX body the D700 could be a good option. Now that new Nikon updates came to the market, the price of the D700 must be low and it is a super camera, perfect to do photos without flash in dim enviroments. well Jeorge I’ll think what to do, maybe I’ll buy 70-200mm because I heard so much about this lens and I want it but the camera later I can’t buy it now is too much for me. Alena, the 70-200 VR II is an excelent investment and you can use it with your D7000. You must not run to buy a FX camera. There are solid rumours about a new budget FX Nikon camera that is coming soon; so it is good for you to wait. Quick question, wouldn’t an adjustment brush a Lightroom just do the same trick as well? Just pull up the exposure and shadows around the eyes and you’d be done as well. This would have the advantage of keeping history and having just a single file, instead of two files of which one is a heavy photoshop (tiff, dng, or psd) file. I’m always a fan of keeping my storage requirements to a minimum. Potentially. I delete the multiple exposures and/or collapse them for the final image, so my technique doesn’t negatively impact my storage requirements. As a general rule, I only use Lightroom to set the broader settings for a photo. IMHO, Photoshop continues to offer quite a bit more flexibility relative to masks, detailed adjustments, etc. over those provided by Lightroom. Actually the human eye cannot capture such high dynamic range in a single “shot”. The human eye is more like “video”. The DSLR takes a single frame and in this frame the D800 gets around 14 stops. The human eye in a single frame gets less than this, it’s only the fact that the eye uses various trickery to get a better range – it is essentially processing images over time by the brain into. But it’s not much better. I shoot my D800 into the sun and other extremely high DR scenes, when I check the images the camera see’s ALOT more into the shadows and highlights than I did at the scene, and I’m only in my 20s with very good eyesight. Excellent article and great results! Thanks for an informative and subject specific article. Inspired by art of Ansel Adams I was trying to achieve the similar effect of dramatic sky and clouds, however the effect was flat and boring. Any idea what was his technique? Is it about the film dynamic range vs digital matrix? Or maybe some kind of post production with multiplpe exposure layers done in the darkroom? My technique here is simply taking the best parts of the photos exposure and combining them, not unlike what Adams did. This technique only works up to a point, however. If you attempt to boost shadow details too much, your photos can indeed look grey and washed out. You can find many article regarding Adams’ technique easily enough with a bit of searching on the net. It does take a bit of practice. I did some preliminary research on the subject. Agree, Adams used a totally different approach, (zone system etc) which is more applicable to a negative film rather digital matrix. However his approach to exposure measurement worth understanding and trying to implement in the digital world. I created a copy of the photo within Lightroom so had a normal exposure as well as a copy which I had an adjusted histogram that showed the highlights as over exposed and the darker sections to be much lighter than the normal exposure. The rest was simply using basic masking/exposing techniques in Photoshop. Such tutorials are abundant on youtube as well as Adobe’s site. I hope that you got a model release form from your new model Doris.